German 6aus49 Lotto • Play online from Ireland • Buy tickets here! Buckle your seatbelts and brace yourself for the arrival of the German Lotto. Known in its native Fatherland as 6-aus-49 (six from 49) the game merges simple functionality with high performance at a very low cost. The German Lotto is draws twice a week every Wednesday and Saturday night at 19:25 – on the dot! So make sure you have your entry completed well in advance to avoid disappointment. Play it safe with our Subscription option so you need never worry about missing a draw ever again. Simply throw your towel on the proverbial deckchair and relax! 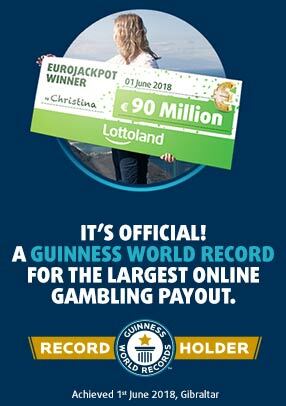 Despite being one of the biggest lotteries in Europe the German Lotto has a very small price. A basic one-line game costs just €1 – making this a fantastic budget lottery given the jackpots involved. Alternatively you can go all-in with the three extra bonus games for even bigger chances to win! This is a real money gambling app/site. Please gamble responsibly and only bet what you can afford. For gambling addiction help and support, please contact Gamble Aware at 1800 753 753 or visit http://www.gambleaware.ie/.German 6aus49 Lotto • Play online from Ireland • Buy tickets here!